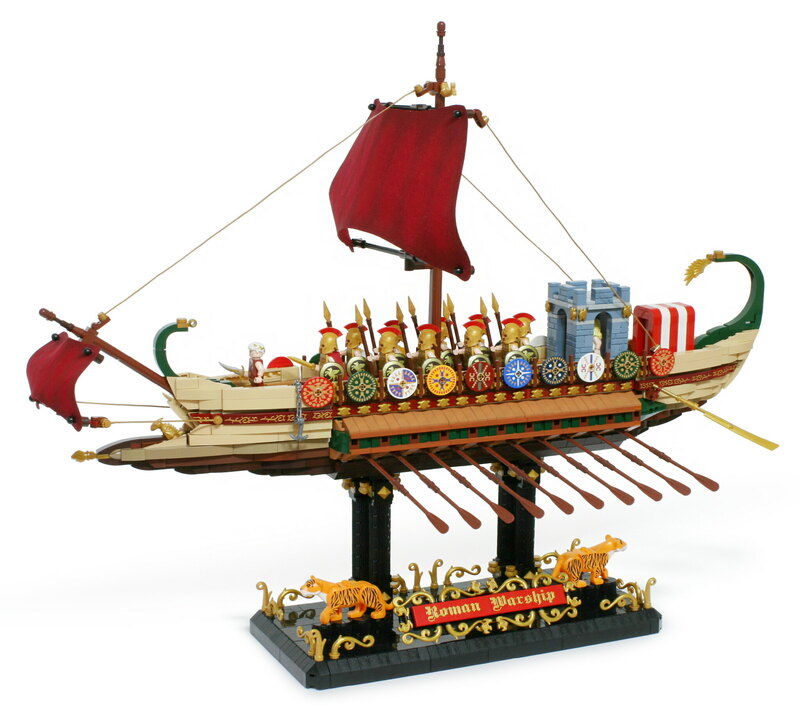 While Greek galleys have been an occasional subject for LEGO builders, it’s not often we feature the Roman navy, despite its historical importance in carrying the Roman army to victory across the Mediterranean in places like Carthage, as well as to Britain from Gaul. Iyan Ha has corrected this oversight with his wonderful little Roman warship, with full rigging and even pavilions on the deck for the elite passengers. As wonderful as the ship is, don’t miss the filigreed stand, complete with a custom plaque and a pair of tigers.